You know what is my favorite combination of attributes for a classic car? Fast, loud, & rusty? Nope. Close, but no. My favorite is rarely scene (rare and rarely scene aren't the same thing...), common parts, and reasonable price. 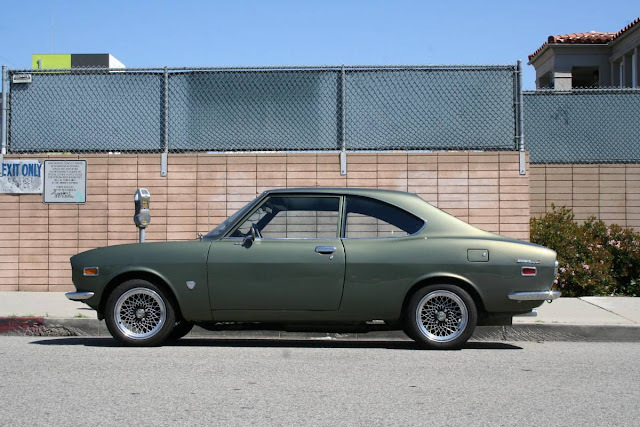 This next car hits those points because -- when was the last time you saw an RX-2 on the road, 13B rotaries are scattered around like pieces of an exploded flywheel, and the asking price, albeit high, isn't classic 911 high. Find this 1973 Mazda RX-2 offered for $13,500 in Los Angeles, CA via craigslist. Tip from Rock On! 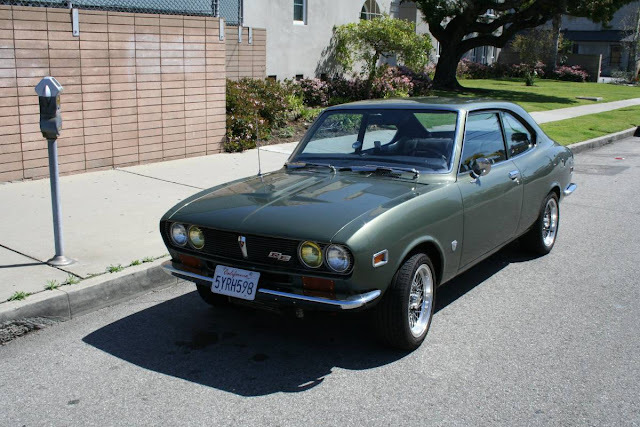 Selling 1973 Mazda RX2 rotary in good running condition. Asking $13,500. Purchased from an RX2 enthusiast in east LA nearly three years ago. His stable included two running Mazdas and three on stilts that he was actively rebuilding. 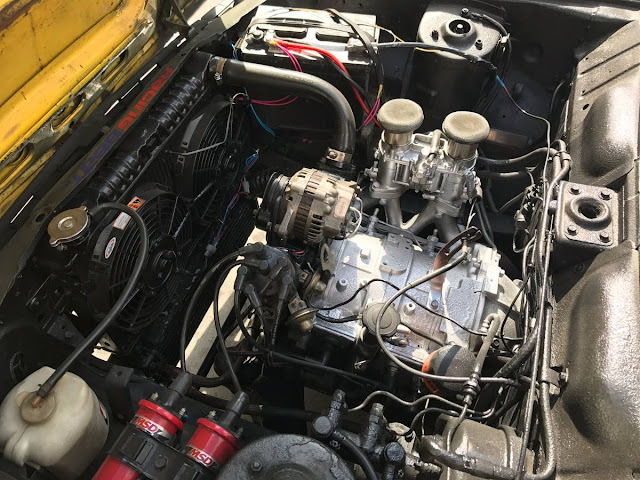 I've driven it almost everyday since with minimal issue and have made a series of improvements along the way (see below). Though I've seriously considered bringing it with me, I'm relocating to New York where it would be cost-prohibitive to park. Oddly enough, I've had countless people offer to buy the car before I was interested in selling it. As mentioned, the previous owner is a rotary enthusiast with expert-level knowledge. Here are the specs. I've had a bit of work done over the years. I was rear-ended by a texting driver a couple weeks ago. The damage is minimal (see photos) but is certainly worth calling out. Otherwise, there are a handful of things I never did get around to addressing. Though the photos were taken a few months back, the car is accurately represented. If you have any questions, please don't hesitate to reach out by email or text. "Rarely scene" or Rarely seen? Who's Rarely and when did ve see it? 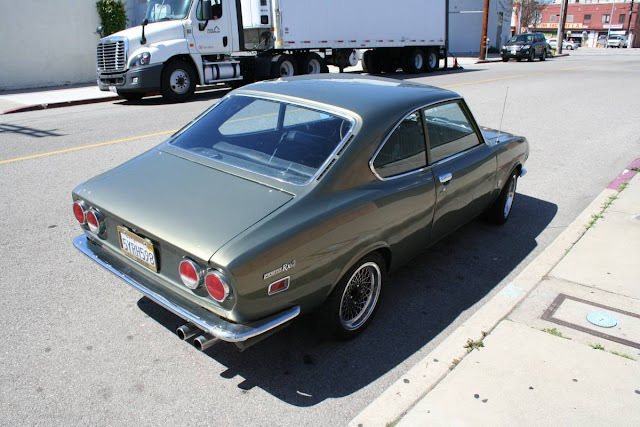 Drove one of these owned by a friend. First gear acceleration was astounding and when I hit second gear at 9000 rpm I felt like I was going through the seat and out the back window. Killer little sleepers.